Despite being divine, Valkyries were not totally immune to harm, and so they often wore armor to defend themselves from their enemies attacks. 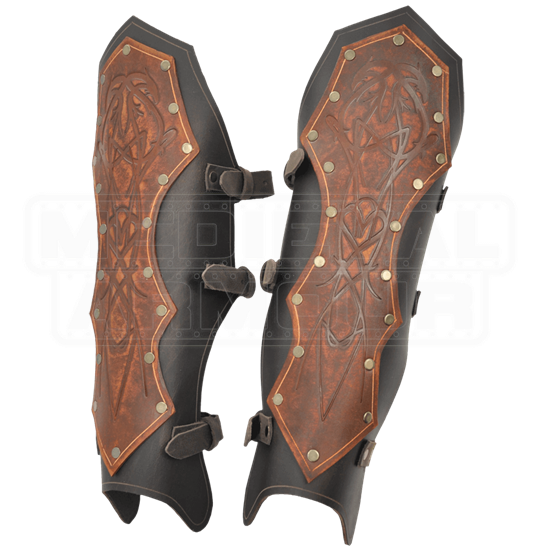 These Valkyries Greaves feature a Norse design that would look great on a Valkyrie or her chosen warrior. These greaves are crafted from high quality leather, consisting of a base of simple dark brown leather with a single line around the edge. Fixed atop this base with bronze rivets is a lighter-colored brown plate that has been engraved with a complex Norse knot that features subtle serpent and dragon detailing. These greaves are worn using a trio of leather straps with buckles along the back, providing a flexible fit and feel. 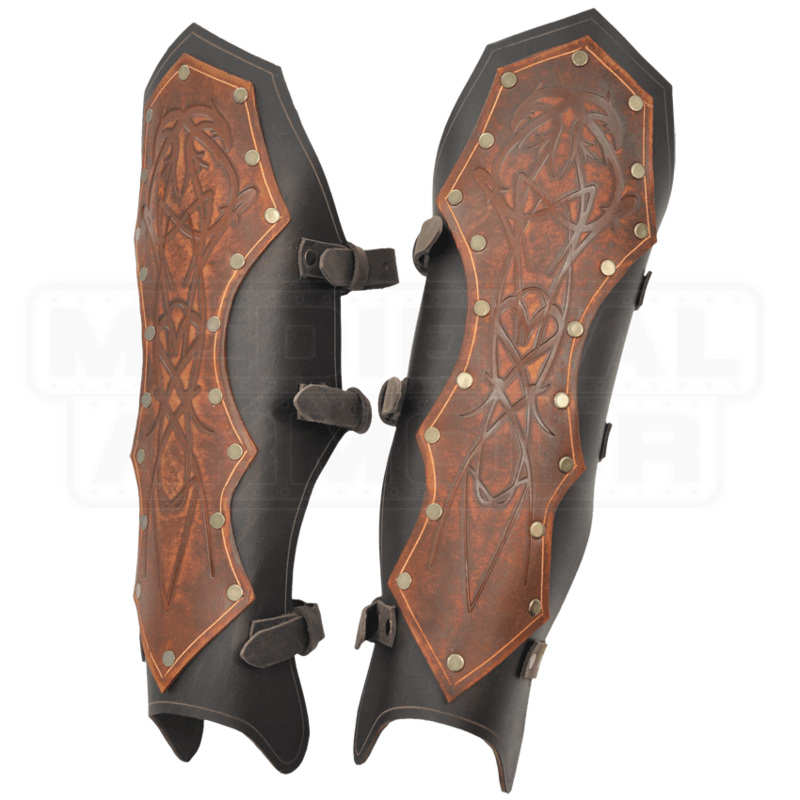 Unlike most Valkyrie armor pieces, these Valkyries Greaves are not particularly styled for either man or woman, but rather, are a perfect accent to any Norse warrior, be they man or woman, who decides to take up the fight and meet a Valkyrie face to face.